I am always reminded just how much I love fresh flowers whenever I am lucky enough to receive a beautiful bouquet! BloomsyBox.com recently offered to send me a sample of their monthly flower delivery service, and I happily agreed. 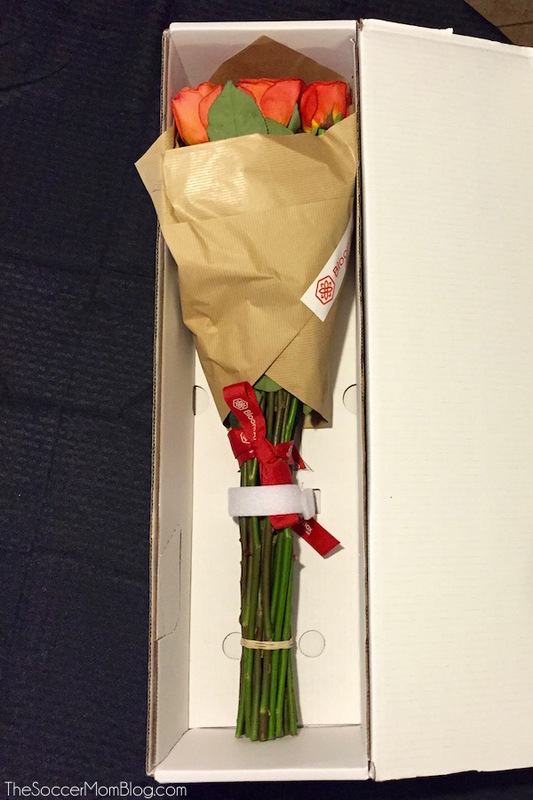 I was absolutely blown away when I opened my carefully-packed shipping box to unveil two dozen perfect roses. 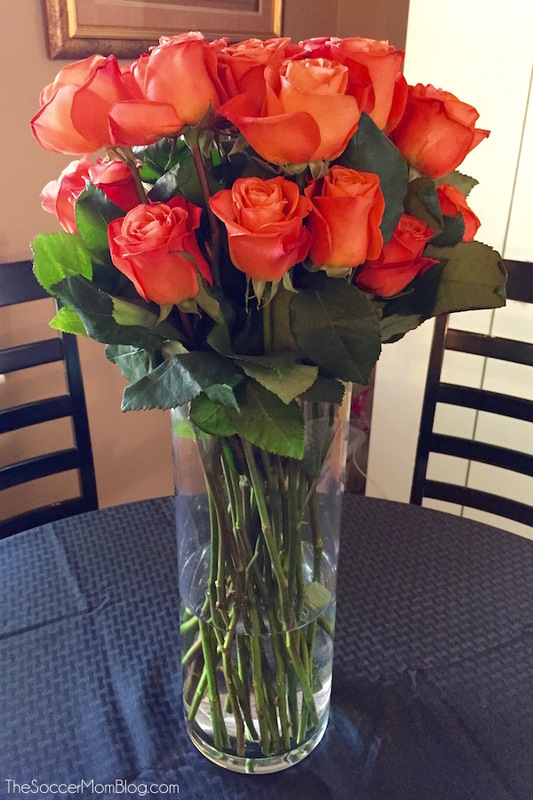 Even more amazing, they were bright orange, which is my favorite color of rose — it’s as if they read my mind! Having these beauties on display for the next week (they kept their color and shape for more than a full week actually!) 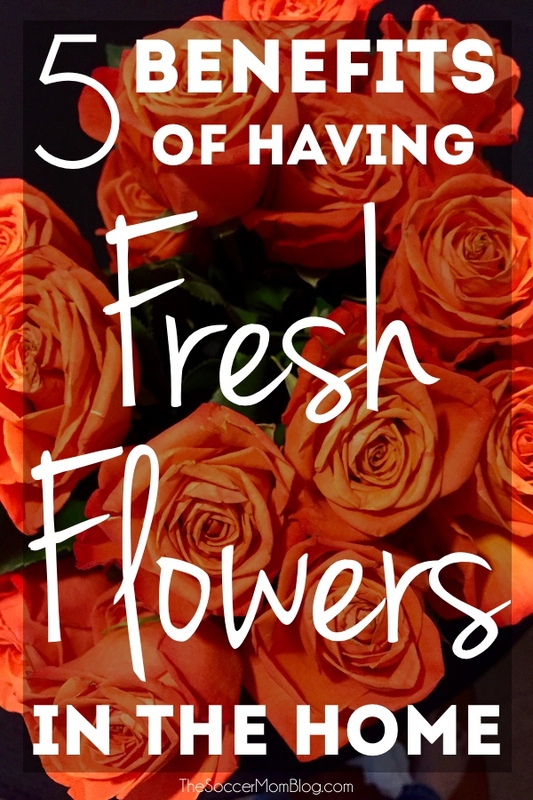 got me thinking about why I love fresh flowers so much and the benefits of having fresh flowers in the home. Flowers can improve your mood. 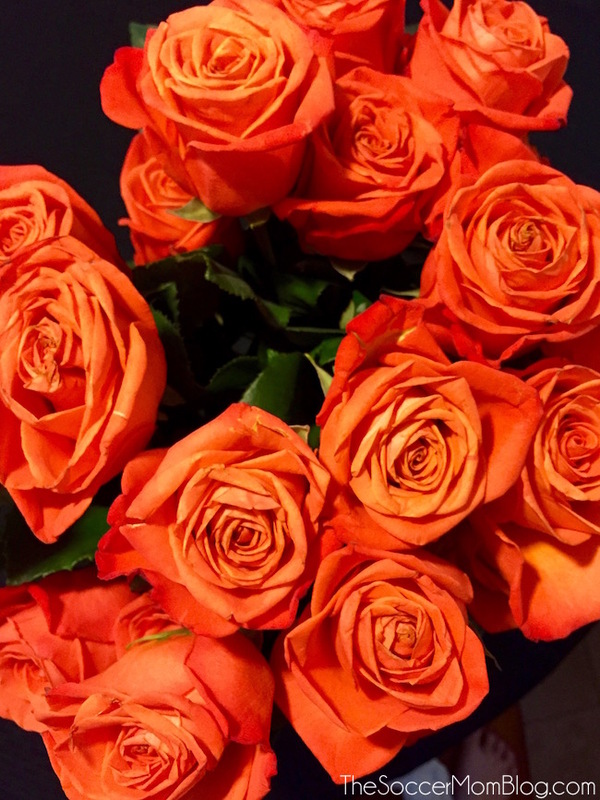 I don’t know if there’s a scientific study that confirms this, but I do know that anytime I glanced at my stunning roses, I felt happy instantly. Think back to the last time someone gifted you with flowers — it’s such a simple gesture, but there is just something about getting flowers that feels good. Flowers can spark creativity. Why do you think there are so many paintings of flowers? There is something about flowers that inspires — try keeping them in your home office or anywhere you like to do creative work. Flowers promote relaxation. Take a look at a bouquet of flowers and try to get riled up — I’ll bet it’s not an easy task! I love placing a vase of flowers so that it is the first thing I see when I walk in the door. The stress of the day melts away when I see something so beautiful! You might also keep some in your bedroom to help you wind down at the end of a long day. BloomsyBox sources flowers from all around the world — they’re handpicked and delivered straight from the farm to your door in less than 48 hours. These are seriously the most beautiful flowers I think I’ve ever had — just look at the gorgeous colors! A girl could get used to this! Disclosure: This is a sponsored post written on behalf of BloomsyBox.com; however, all opinions are 100% mine.